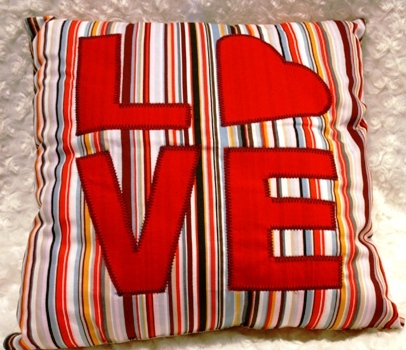 A hand made, coton cushion, with the wording "Love" appliqued on the front in red cotton. 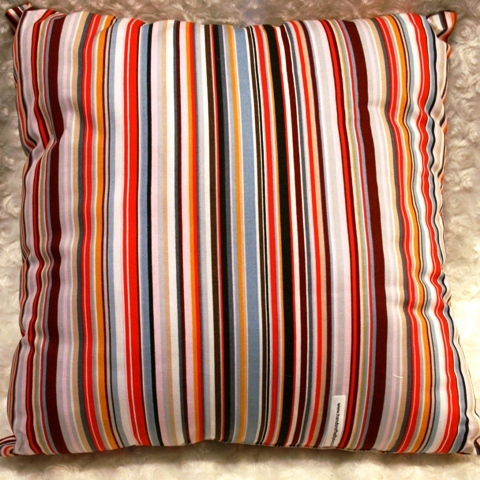 The cushion is 14" square and is filled with Hollow Fibre filling. On the wording on the front the "O" has been replaced with a heart for effect. 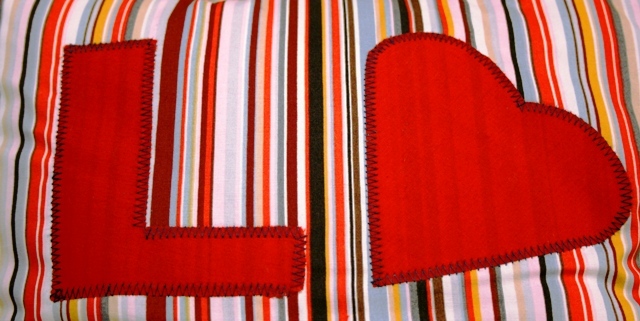 The back of the cushion is in the same striped fabric without the wording. A fun item which would make a great gift for a loved one or valentines Day present.